We popped in to the Beverly Center on the first day of the trip. I headed straight for the Drunk Elephant gondola when I went into Sephora, set on the T.L.C Sukari Babyfacial. It's a product we can't get in Australia due to the high amount of AHA it contains. I follow a lot of people that love this product, so I had to see what all the fuss was about. I've used it a few times now and I've been blown away. I need to test it out a little more before giving it a full review, but it's completely gotten rid of the texture on my chin. Speaking of ridiculously cute face masks with pink packaging, I also got the Watermelon Glow Sleeping Mask by Glow Recipe. It smells like one of these lollypops that I used to go crazy for as a kid, so I couldn't resist. I've only used this once so far, but it did feel nicely hydrating. I had originally been planning on picking up a fresh tub of my beloved Clinique Take The Day Off Cleansing Balm, but decided to try the Farmacy Green Clean instead. I've been wanting to try more cleansing balms and even though the Clinique one is HG for me, I wanted to see if this slightly more affordable option could replace it. So far I've really been enjoying it. It feels a lot less heavy than the Clinique balm but still gets off every trace of makeup. Fresh became Available in Australia earlier this year and so I'd been paying much closer attention to them. I just never really knew when to start. The Soy Face Cleanser is a cult favourite, and the Vitamin C Antioxidant Glow Face Mist had just released so I bought minis of both. I'm working on a post all about my cleansers at the moment so I'll be able to talk about that more then, but the mist is nice and refreshing. I'm a fiend for anything citrus-y, so I think I was always going to like it. I managed to hit VIB status within a couple of days of being there (shame, shame, I know) so that meant I got to have 15% of during a sale that was on. That's when I decided to repurchase the Ole Henriksen Truth Serum. I used one up a few months ago and my skin hasn't been looking as good without it. I was torn between this and the Drunk Elephant C-Firma Day Serum, but I decided to go for the cheaper option. Because you know, sometimes I'm sensible. Getting 50ml instead of 30ml was a deciding factor as well, but I know it's only a matter of time before I get the C-Firma again. A few days into the trip, the 14 hour flight and sudden change in climate was really doing a number on my lips. 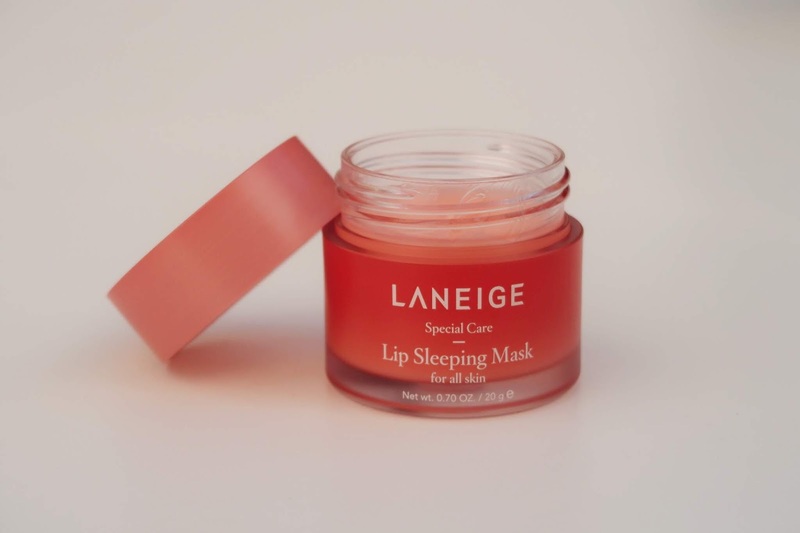 The balms I'd packed with me suddenly weren't enough so I decided it was time to try out the Laneige Lip Sleeping Mask. I started using it immediately after I left the store and I haven't gone a day without it since. It completely re-hydrated my lips and it's kept them that way with nightly use. If you're considering purchasing this, just do it. I'm kicking myself for going through a whole winter without it when I'd been putting off buying it the whole time. 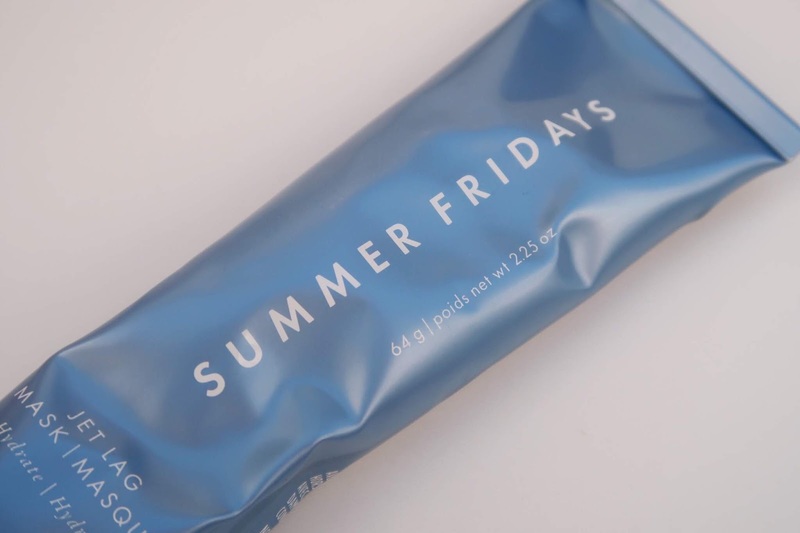 The Summer Fridays Jet Lag Mask was at the top of my list for things I wanted to try. Like the Babyfacial, so many of the bloggers I follow love it. It's quickly become one of my favourite masks. It makes my skin feel hydrated, bright, calm and plump. It was definitely worth forcing my boyfriend in to every Sephora we walked past up until the very last day to find it. I guess I wasn't the only one who had been keen to try it. And that's a wrap! This was the first part of three USA Haul posts, so stay tuned for those! I edited these pictures on my phone instead of in Photoshop, so hopefully there's not too much of a noticeable difference. Let's just say that technology hasn't been on my side for the past couple of weeks. I'm crossing my fingers that everything will be back to normal in time for next weeks post so I can edit the way I like to.